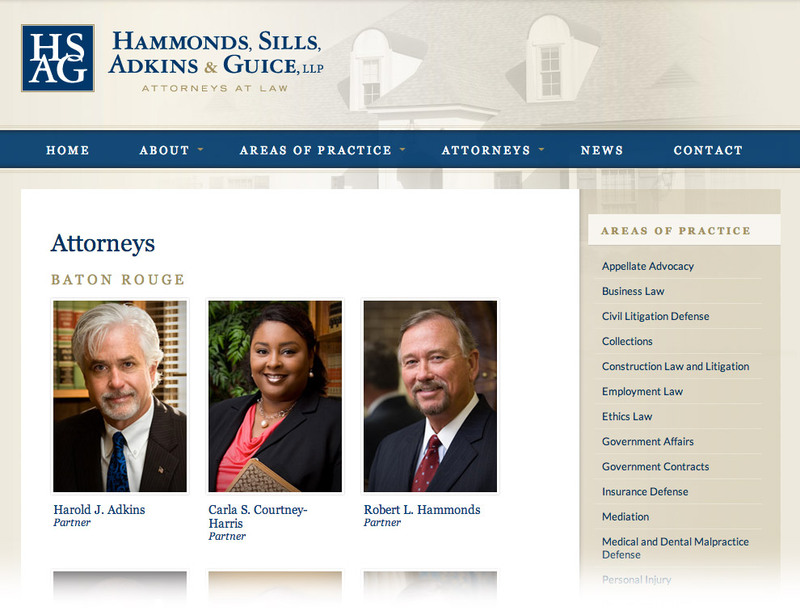 In 2012, the law firm of Hammond & Sills decided to change it's name and sought a new logo and site for it's growing practice. They selected Redstick to develop the brand identity, print marketing materials and a web site to showcase their attorneys, locations in Baton Rouge and Monroe, areas of practice and news related to its growth and accolades. Later, we added a secure client area for disseminating documents and conference materials.